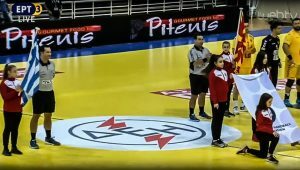 Amyntaio Florina, the birthplace of the Greek handball is from last night the mission of the National Women, to take part in the 3rd qualifying group World Championship 2019 to be held in ETFs Amyntaion space 23-25 November. 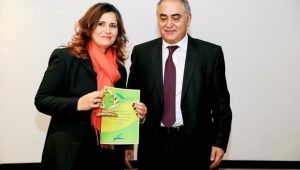 We support the National women's handball in trying to qualify! Significant success for the national team of handball in Greece imposed on Macedonia in the closed Lefkovrysis Kozani with 28-26. The Greek players did overrun as Skopjans is superpower in handball, however this did not discourage our international nowhere in the race. 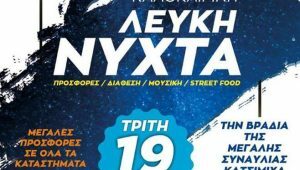 On Tuesday 19 June 2018 Kozani celebrates by organizing summer event "White Night". The city's shops will remain open until the 12:00 midnight with the main objective of stimulating and strengthening local markets. On Saturday 3 Of March 2018 It was a day of celebration for our company. 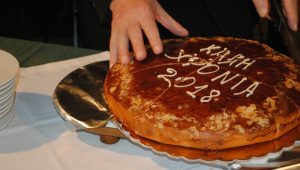 With the wishes for a good and productive year, The management and staff cut the traditional new year pie for 2018. 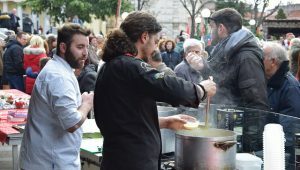 Their honor had giaprakia noon Wednesday 27 December 2017 Yaprak the festival held in Kozani Central Square. 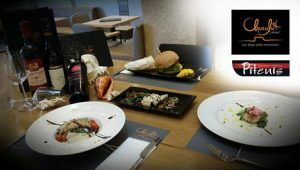 We expect tomorrow 11 in October 7 in the afternoon the exhibition center of Concave, where Stylianos Avarakis Pitenis will cook with his team for Kastanogiorti under the Fair West Macedonia 2017. 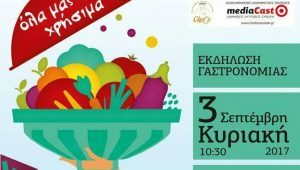 Event in Kozani – All our useful!